The FEASTS OF WEEKS and TABERNACLES amongst other things, give more information about WEDDINGS and MARRIAGE as desired by YAH. Weddings are exciting things but what about MARRIAGE? 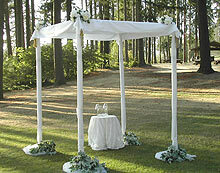 Jewish Weddings are usually done in such a way that the Couple getting married stand under a CHUPPAH / HUPPAH which looks very much like a SUKKAH. The CHUPPAH has a connection with the FEAST OF TABERNACLES (in Hebrew: SUKKOT / SUCCOT) and the WEDDING/MARRIAGE SUPPER OF THE LAMB OF YAH (YAHUSHUA). WHAT IS MARRIAGE ALL or REALLY ABOUT? MARRIAGE IS SERIOUS BUSINESS! It is not to be taken lightly! MARRIAGE is not the Wedding!!! MARRIAGE is NOT man’s idea and therefore never created by man!!! MARRIAGE is an INSTITUTION created by YAHUVEH GOD Almighty from the beginning of time. MARRIAGE is between ONE MAN and ONE WOMAN (none other)! MARRIAGE is not for boys and girls but rather MEN and WOMEN. It is for a MATURE MAN and WOMAN. Engagement or Betrothal in Jewish Tradition is as good as marriage to one. Read the Old Covenant/Testament, for dxample the Books of Isaiah, Jeremiah, Hosea and Malachi, etc. Also read the story of Joseph and Mary in the Gospels, for example Matthew. Although the FEAST OF SHAVUOT was the ENGAGEMENT CEREMONY, MARRIAGE can be likened to YAH’S FEAST OF SHAVUOT as that’s when YAH made a COVENANT between HIMSELF and HIS CHOSEN PEOPLE both on Mount Sinai with Moses and in Jerusalem years later through the BAPTISM OF RUACH HA KODESH! As we are supposed get married on earth, we are to keep in mind, the FUTURE MARRIAGE CEREMONY BETWEEN THE LAMB OF YAHUVEH GOD who is YAHUSHUA and THE BRIDE! AMIGHTYWIND MINISTRY illustrates this so well through their BONE OF BONE Department of the Ministry. Yes, Proverbs says that he who finds a wife, finds a good thing and shall obtain favour from YAHUVEH The LORD but this does not mean that man is to find just any woman and call him wife. The woman has to be the best fit for the man in various ways, such as in relation to Health, Personality, Character, Way of Life, etc. Human beings can only see with their physical eyes which means we can only see the physical attributes of a fellow human beings. This implies that there are various hidden things from our physical earthly fleshly eyes. This where YAH comes in. We need YAH’S RUACH to open our spiritual eyes to see the real person inside of the fleshy body and they are suitable for us to be yoked to for life until earthly death or otherwise decided by YAH! Remember YAH is ALL-POWERFUL, ALL-SEEING, etc. Note that before YAHUVEH GOD created MARRIAGE on earth, HE created MARRIAGE in HEAVEN! The FIRST EVER MARRIAGE was instituted between GOD THE FATHER (YAHUVEH / YAHWEH) and GOD THE HOLY SPIRIT (SHKINYINYAH GLORY / IMMAYAH / RUACH HA KODESH / WISDOM). The FRUIT of that MARRIAGE was YAHUSHUA (a.k.a JESUS CHRIST / YESHUA), YAH’S only begotten son (John 3:16; Proverbs 8:22-36). Sometime later, YAHUVEH created MARRIAGE and FAMILY LIFE on earth just as it is in HEAVEN. As said by RUACH HA KODESH in AMW Prophecy 89 & 90, the FAMILY ON EARTH IS A COPY OF WHAT IS IN HEAVEN! MARRIAGE was one of the first things instituted by YAH BOTH in the Heavens and on earth! MARRIAGE is very important to YAH (a.k.a GOD)! 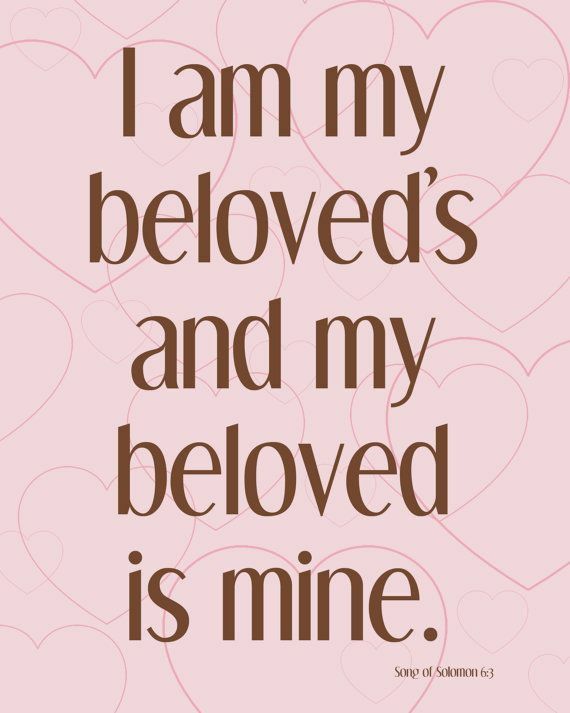 MARRIAGE on earth between a man and a woman is to be a REFLECTION OF YAHUVEH and SHKINYINYAH GLORY’S Marriage in Heaven as well as a REFLECTION OF YAHUSHUA’S LOVE FOR HIS BRIDE (AND GUESTS)! This implies that we are to treat our spouses just the same as we would YAHUSHUA our BRIDEGROOM!!! Note that the Bible says that the HOLY SPIRIT (a.k.a RUACH HA KODESH a.k.a SHKINYINYAH GLORY) is the most sensitive person of the HOLY TRINITY GODHEAD! Why is that? The Bible even says that if man blasphmemes against GOD THE FATHER and GOD THE SON, they can be forgiven however if mankind blasphemous against the GOD THE HOLY SPIRIT, there will be no forgiveness for them!!! Why is this the case? Ask yourself, what is so special about the HOLY SPIRIT? Note that on earth, women are much more fragile and sensitive than men. They are to be treated with great care. Why were women made this way? Where did the idea come from, really? Can you see link between the two paragraphs on this subject of sensitivity? MARRIAGE can affect our earthly and ETERNAL DESTINY! Once we are married, We are no longer single! We have to spend time showing care about our spouses and children as well as other people around us much more responsibly. The way we behave and treat them can affect our destinies! 19 Yahweh Elohim had formed all the wild animals and all the birds out of the ground. Then he brought them to the man to see what he would call them. Whatever the man called each creature became its name. 20 So the man named all the domestic animals, all the birds, and all the wild animals. But the man found no helper who was right for him. 21 So Yahweh Elohim caused him to fall into a deep sleep. While the man was sleeping, Yahweh Elohim took out one of the man’s ribs and closed up the flesh at that place. 22 Then Yahweh Elohim formed a woman from the rib that he had taken from the man. He brought her to the man. “This is now bone of my bones and flesh of my flesh. 24 That is why a man will leave his father and mother and will be united with his wife, and they will become one flesh. 25 The man and his wife were both naked, but they weren’t ashamed of it. The Book of Hosea explains what MARRIAGE should be like so very well. It uses an illustration. Hosea had to play the part of GOD THE FATHER. The prostitute played the part of Israel the specially chosen Children of YAH! and call your sisters Ruhamah [Loved]. 2 “Plead with your mother; plead with her. She no longer acts like my wife. She no longer treats me like her husband. Tell her to stop acting like a prostitute. Tell her to remove the lovers from between her breasts. 3 If she refuses, I will strip her. I will leave her as naked as the day she was born. because they are children of a prostitute. 5 Their mother acted like a prostitute. The woman who became pregnant with them did shameful things. She said, ‘I’ll chase after my lovers. and build a wall so that she can’t get through. 7 She will run after her lovers, but she won’t catch them. She will search for them, but she won’t find them. Then she will say, ‘I’ll go back to my first husband. 8 “She doesn’t believe that I gave her grain, new wine, and olive oil. but she used it to make statues of Baal. and my new wine when it’s in season. that I gave her to cover her naked body. and no one will rescue her from my power. her weekly worship days—all her appointed festivals. 12 I will destroy her grapevines and fig trees. She said that they were gifts from her lovers. I will turn her vineyards into a forest, and wild animals will devour them. as an offering to other gods—the Baals. and she chased after her lovers. She forgot me,” declares Yahweh. 14 “That is why I’m going to win her back. I will speak tenderly to her. 15 I will give her vineyards there. I will make the valley of Achor [Disaster] a door of hope. as she did when she came out of Egypt. 16 “On that day she will call me her Ish,” declares Yahweh. 17 I won’t allow her to say the names of other gods called Baal. She will never again call out their names. the birds, and the animals that crawl on the ground. so people can live safely. 19 “Israel, I will make you my wife forever. I will be honest and faithful to you. I will show you my love and compassion. 20 I will be true to you, my wife. Then you will know Yahweh. 21 “On that day I will answer your prayers,” declares Yahweh. 22 and the earth will produce grain, new wine, and olive oil. You will produce many crops, Jezreel. 23 I will plant my people in the land. Those who are not loved I will call my loved ones. Those who are not my people I will call my people. 4 In the same way, the Israelites will wait a long time without kings or officials, without sacrifices or sacred stones, and without ephods[a] or family idols. 5 After that, the Israelites will turn and look to Yahwehtheir Elohim and David their king. They will come trembling to Yahweh for his blessings in the last days. GODLY Marriage involves not being equally yoked with unbelievers! A believer in And follower of YAHUSHUA marrying an unbeliever can put a great strain on marriage in various ways, such as how to properly raise the children. YAH has revealed through AMIGHTYWIND MINISTRY that if one who is a believer in and follower of YAHUSHUA is married to an unbeliever particularly in these perilous end times, there is trouble lurking around for them from their unbelieving spouse. Note that a believer in and follower of YAHUSHUA has their name written in the LAMB’S BOOK OF LIFE in the Heavens. An unbeliever does not have their name written there. This means that they are following DIFFERENT SPIRITUAL PATHS! Their ETERNAL DESTINIES are DIFFERENT! What does Darkness have in common with LIGHT? Can LIGHT mix and/or agree with Darkness? LIGHT came to the world and Darkness could not comprehend it! YAH is separating HIS beloved believers in and followers of YAHUSHUA from their unbelieving spouse in these end times. This is to protect the believing spouse. This is because when times are very hard spiritually and physically, the unbeliving spouses (who have made up their minds not to love and follow YAHUSHUA as their only Messiah) will sell their believing spouses to the highest bidder after which the believing spouses will be heavily persecuted and murdered. The unbelieving spouses will be Satan’s agents against the believing spouses. YAH has prophetically spoken to the BRIDE AND GUESTS OF YAHUSHUA to separate themselves from their unbelieving spouses. YAH has prophetically granted a DIVORCE DECREE to those who are spiritually unequally yoked in marriage. Remember that YAH is the DESIGNER OF MARRIAGE, therefore YAH can do as HE pleases!!! Our response should be obedience without holding back. A JEWISH WEDDING, What about it? Jewish tradition likens the couple to a queen and king. The kallah will be seated on a “throne” to receive her guests, while the chatan is surrounded by guests who sing and toast him. At this time there is an Ashkenazi tradition for the mother of the bride and the mother of the groom to stand together and break a plate. The reason is to show the seriousness of the commitment ― just as a plate can never be fully repaired, so too a broken relationship can never be fully repaired. Next comes the badeken, the veiling of the kallah by the chatan. The veil symbolizes the idea of modesty and conveys the lesson that however attractive physical appearances may be, the soul and character are paramount. It is reminiscent of Rebecca covering her face before marrying Isaac (Genesis ch. 24). The Ashkenazi custom is to have the chuppah ceremony outside under the stars, as a sign of the blessing given by God to the patriarch Abraham, that his children shall be “as the stars of the heavens” (Genesis 15:5). Sefardim generally have the chuppah indoors. In Jewish law, a marriage becomes official when the chatan gives an object of value to the kallah. This is traditionally done with a ring. The ring should be made of plain gold, without blemishes or ornamentation (e.g. stones) ― just as it is hoped that the marriage will be one of simple beauty. The chatan now takes the wedding ring in his hand, and in clear view of two witnesses, declares to the kallah, “Behold, you are betrothed unto me with this ring, according to the law of Moses and Israel.” He then places the ring on the forefinger of the bride’s right hand. According to Jewish law, this is the central moment of the wedding ceremony, and at this point the couple is fully married. Now comes the reading of the ketubah (marriage contract) in the original Aramaic text. The ketubah outlines the chatan’s various responsibilities ― to provide his wife with food, shelter and clothing, and to be attentive to her emotional needs. Protecting the rights of a Jewish wife is so important that the marriage may not be solemnized until the contract has been completed. 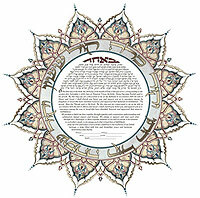 The reading of the ketubah acts as a break between the first part of the ceremony ― Kiddushin (“betrothal”), and the latter part ― Nissuin(“marriage”). This marks the conclusion of the ceremony. With shouts of “Mazel Tov,” the chatan and kallah are then given an enthusiastic reception from the guests as they leave the chuppah together. The couple is then escorted to a private “yichud room” and left alone for a few minutes. These moments of seclusion signify their new status of living together as husband and wife. 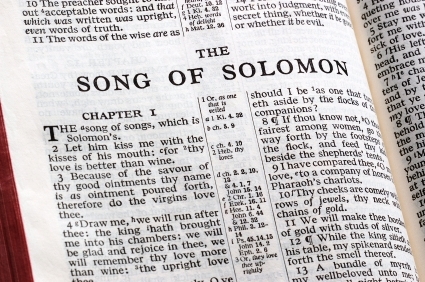 A good book to read on MARRIAGE is the BOOK OF SONG OF SONGS!